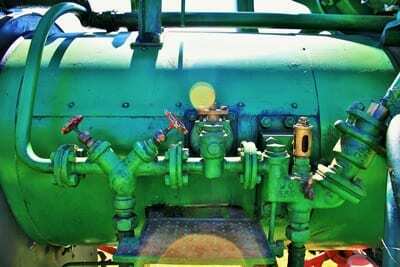 How Does a Steam Trap Work? Posted January 3, 2018 by Arthur Harris & filed under Company News. The Industrial Revolution of the 19th century introduced the use of steam as a means of generating power, performing work and delivering heat to industrial process systems. Today, in industrial and commercial facilities and plants, as well as the marine industry, steam is still used commonly as a source of energy—for heating, processing, and power. Steam traps are used anywhere there is a steam-powered system to discharge condensate, that is, the liquid that builds up in the pipelines, along with other non-condensable gases, to relieve the pressure in the lines and regulate the flow of steam within in it. To do this effectively, steam traps are placed at intervals along the pipelines. But what exactly is a steam trap and how does it work? A steam trap is a valve designed to sense the difference between steam and condensate, and drain the condensate from the line. Steam traps allow only condensate and gases to drain and “traps” the steam in to provide heat and power. Too much condensate will lead to a buildup in pressure, causing hammering inside the pipeline, blown seals, work stoppages, etc. A proper functioning steam trap removes condensate and non-condensable gases without losing any live steam. Mechanical steam traps operate by gravity. Specifically, the difference between the water and steam causes a stainless steel float ball to rise and sink within the trap, which opens and closes the valve. Stainless steel floats within steam traps are ideal for regulating the higher pressure and correspondingly high temperatures in water or corrosive liquids. Their high strength and non-corrosive properties make stainless steel the choice for an extremely versatile and durable float. The movement of the float is dependent on the flow of condensate. The advantage of mechanical steam traps over other types of steam traps is the precise response to the flow of condensate without its performance being affected by most external factors. There are two variations of the mechanical steam trap: float traps and inverted bucket traps. The float trap utilizes a sealed oblong float, while the inverted bucket traps utilizes a buoyant, cylindrical cup turned upside-down. Though each functions differently, buoyancy is the principle operation for each. Temperature steam traps differ from mechanical traps in that their design requires them to hold back some condensate as it must wait to cool sufficiently to allow the valve to open. The valve is driven on and off the seat by either the expansion or contraction caused by temperature. In some exceptional circumstances, this is not desirable if condensate needs to be removed as soon as it is formed. However, in tracer lines, for example, to save energy and reduce CO2 emissions, it is universally accepted that condensate must be removed 40 °C (104 °F) below saturation temperature. This practice is only possible by using temperature operated traps. Thermodynamic steam traps are robust with a simple mode of operation. It is used where flash steam must pass through the trap. Thermodynamic traps are used for high pressure and superheated steam, and are not affected by water hammering and vibration. Theses traps tend to discharge a large amount of air on ‘start-up’ if the inlet pressure builds up slowly, and will not work positively on very low differential pressures, as the velocity of flow across the underside of the disc is insufficient for lower pressure to occur. Venturi steam traps operate by continuously removing condensate from the steam system. It allows any condensate present in the steam line to pass into the condensate return system as it is formed. The operation of the trap is based on the difference in density between water and steam. It is designed to handle varying loads of steam, and then self-regulates the capacity through the nozzle. Plant engineers know the success or failure to choose the right steam trap can result in damage to the system, downtime, energy loss and thus, money. Of the four types, the stainless steel float of mechanical steam trap is the first choice for applications where the rate of heat transfer is high for the area of heating surface available. It can handle heavy or light condensate loads equally well and is not affected by wide and sudden fluctuations of pressure or the flow rate. By discharging condensate at steam temperatures, these devices ensure efficient drainage of process equipment. It is also resistant to water hammering, and has a large capacity for its size. If you need a float you can always rely on in any application, Arthur Harris has you covered! With over 130 years of experience, we’ve perfected the process of manufacturing high-quality stainless float balls. Feel free to contact us today with any questions you may have!